Small free car park in the resort, close to shuttle bus stop Orée des cimes. 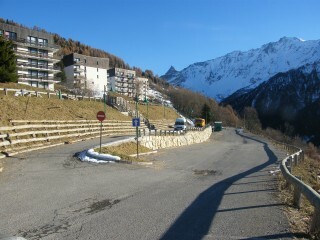 Car park located on the upper part of Vallandry. Close to the track linking the resort of Peisey-Vallandry to Arcs 1800. 15 places car park, 4 limited in part on a blue zone (2 hours max, disk available at the reception of the Tourist Office for 1 €), 1 place for disabled persons. Located next to the Tourist Office chalet. 2 parking spaces for cars. 36 parking spaces, located near the residence Orée des Cimes.